Is there anything the guy can't do? 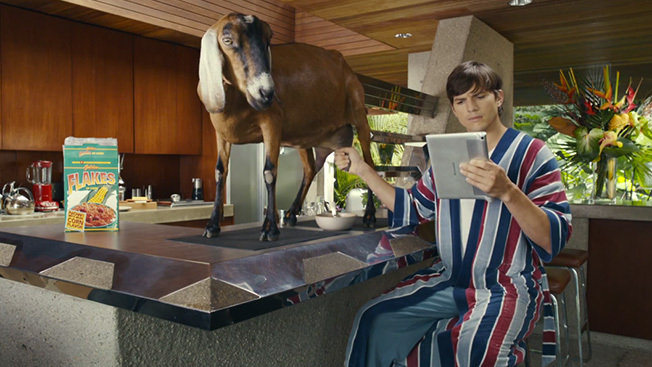 We've always known Ashton Kutcher to be a renaissance man of sorts. Actor, investor, father, model, ad guy. And now, Lenovo product engineer? It appears that because of all of his engineering work, the Lenovo Yoga Tablet 2 Pro has given him a ton of free time to hone some of his hobbies and enjoy the finer things in life—like knitting, getting massages from lucha libre wrestlers, milking a goat for his cereal and, umm, painting portraits of beavers. If all these things sound way outside the bounds of Mr. Kutcher's lifestyle, take a look below. Agency: DLKW Lowe.